If you have been to some large cities, you may have noticed bridges with a multitude (or maybe just a few) padlocks attached. 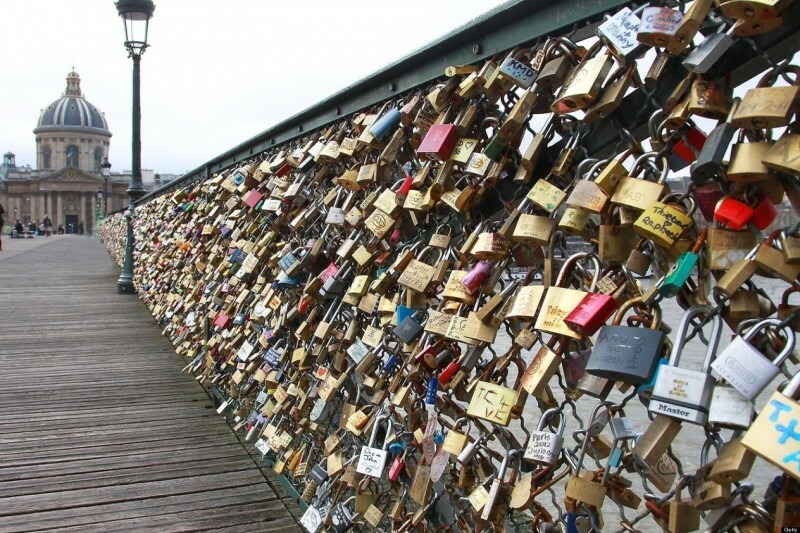 These are “love locks” – padlocks with names of couples inscribed left to adorn bridges as a symbolic gesture of love. It began in Europe in the early 2000s and has since spread to other countries. 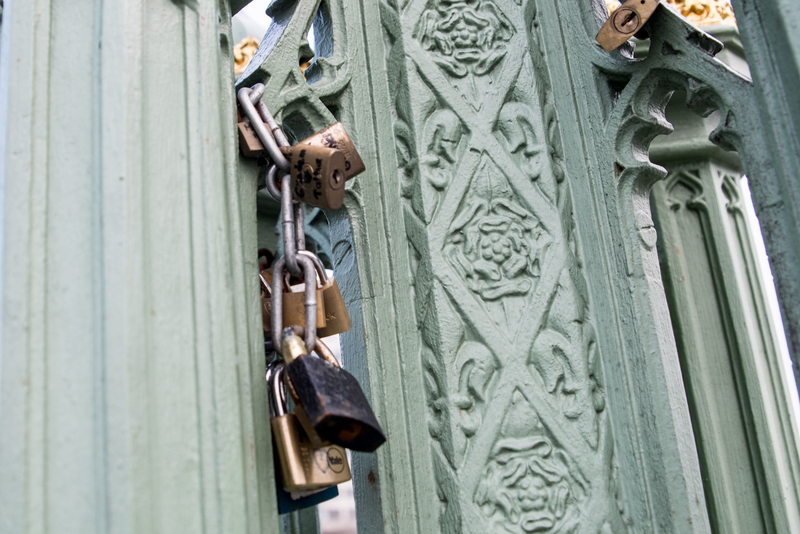 There is a debate currently brewing in France where the weight of the locks on the Pont des Arts has grown excessive enough to possibly damage the bridge itself. It is because of this that citizens have proposed a ban on the locks. What do you think – romantic art or harmful? The debate is similar to the polarization that occurs with graffiti – to some it’s art, and to others it’s vandalism. But no matter which side someone falls on, the weight factor is a reality to be dealt with. But how? 3) take your lock with you when you go. 4) Vow to come back to that same bridge and place your lock for a follow-up photo after caring for your lock over years without fail. Without losing it, without damaging the mechanics, without using it for the gym – put actual love into your relationship with this lock as a symbol and then come back with it. That’s it. It’s simple. The lock is intended to be a representation of everlasting love – it still can be. I argue this gesture might be even more romantic.